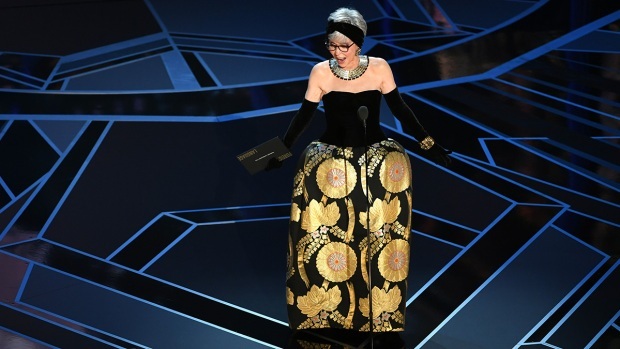 "You would think it would tarnish"
Rita Moreno's gown has made a comeback at the Oscars 56 years later. Her daughter, Fernanda Luisa Gordon, joined the "One Day at a Time" star as her date for the big night. "The fabric is made out of Obi, which is the sash that Japanese women use in their kimonos. They're usually folded over and over, and this is one piece of fabric," she explains to E! While Ryan Seacrest mentioned that he couldn't believe how well it has preserved after all these years, Moreno was just as surprised. "I know, you would think it would tarnish," she says. "It's been hanging in my closet." Actor Rita Moreno speaks onstage during the 90th Annual Academy Awards at the Dolby Theatre at Hollywood & Highland Center on March 4, 2018 in Hollywood, California. Moreno switched things up a bit with the gown by changed the neckline and added a bold necklace, but still kept the statement gloves. When she first wore that dress in 1962 to the Oscars, she won Best Supporting Actress for her role in West Side Story. But unlike most winners, Moreno's acceptance speech was quite short. "I think 15 [seconds]," she says. 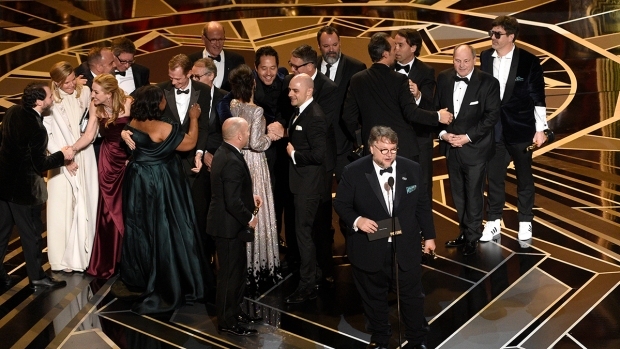 And why so short, you may ask, well the 86-year-old actress says she didn't expect to take home the award. "I had no idea I was going to win, I thought for sure it was going to be Judy Garland for Judgment at Nuremberg which was a big deal, she was doing a dramatic role," she explains. "I said, hey I flew in from the Philippines, just in case, which is where this gown was made."